This Giveaway is now closed. Thank you to all who took part. Season’s Greetings to all my readers, and those who have not yet read my books but might discover them in 2019. 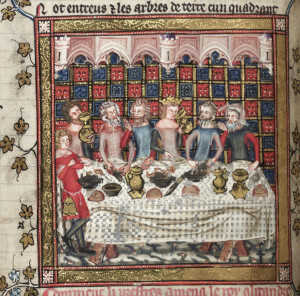 May you have a good Christmas surrounded by friends and family, and with plenty of feasting and drinking (but all in medieval moderation, of course!) as in the scene above. I am giving away three signed copies, selected from any of the six books below from my back list. They don’t all have the new covers, but the contents and the medieval characters are the same! I have six that I can offer. The King’s Concubine: the infamous royal mistress Alice Perrers and her highly political relationship with King Edward III. A woman of notoriety but remarkable business acumen, and one I particularly enjoy. The Scandalous Duchess: who needs no introduction. The scandalous tale of Katherine Swynford and John of Gaunt, even more scandalous as his wife than as his mistress. Princes did not marry their mistresses! The Shadow Queen: Joan, the Fair Maid of Kent: medieval scandal par excellence: three marriages, one bigamous, and a love of power which made her the wife of the Black Prince. Countess of Kent, Princess of Wales, King’s Mother. Joan was a formidable friend and adversary. The King’s Sister: Elizabeth of Lancaster, daughter of John of Gaunt and Blanche of Lancaster. Another royal who chose not to follow family dictates when it came to chosing a husband. Her marriage to John Holland could bring nothing but tragedy. The Forbidden Queen: Katherine de Valois, a royal pawn in her marriage to King Henry V. But then there was Owen Tudor whose love forced Katherine to resist the political chains on her freedom. A coming of age tale, a tale of love and courage and tragedy. How to take part? Easy. Leave a seasonal comment below and the title of the book you would choose if you won. I will get back to you and post them before the Christmas rush. Thank you for participating in the seasonal jollity. Merry Christmas from Atlanta, Georgia, USA! I am a lover of historical fiction, and I like the fact that you write books about lesser known characters from history (you can only read so many books about Elizabeth Woodville or Anne Boleyn!) If I won, I would love to read the Scandalous Duchess, as I have been wanting to learn more about Katherine Swynford’s story. Merry Christmas witha healthy and prosperous new year. I am an avid reader and historical fact and fiction is my favourite genre. My personal interest is in Edward V & Richard 111. He didnt do it, Im sure haha. Devils Consort sounds intriging and I do love the depth of characters and day to day details put in. The extra effort, putting layers on the characters, is appreciated. Yuletide greetings to the Lady Anne her kinfolk. 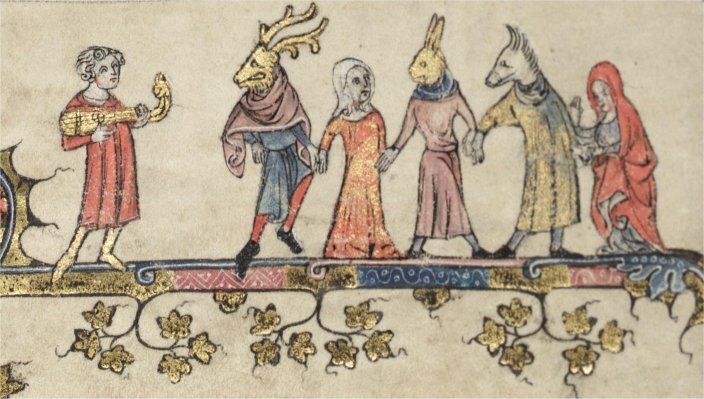 May all have a merrie season full of frolics and feasting, and a happy New Year. I hope you have a peaceful and wonderful Christmas and a perfectly amazing New Year. Hello and Merry Christmas! I am in my final year at the University of Chester and would love to relax with The Scandalous Duchess! Hope you enjoy the festive season and have a wonderful new year. Wishing you and your loved ones a blessed and peaceful Christmas. I have all your books but I’d love to have a signed one and my choice would be one of my favourite women The Scandalous Duchess. As always, please give us more as I never have enough of your books. Merry Christmas and Happy New Year..would love The Queen’s Choice! Hi Anne, and Thank You so much for yet another amazing giveaway! If I were lucky enough to win, I would love ‘The King’s Sister’ please! It is the only one of your books that I don’t have, and I would love to win it to complete my collection of your work. Wishing you and your family a very merry and above all healthy and happy Christmas and a even better New Year. The only books I am missing are the Forbidden Queen and The Queen of the North but I wont say no a signed copy of the King’s Sister as it is my favorite from the series!! Greetings from Malta P.S Keep on writing wonderful books!! Merry Christmas and Happy New Year. Thank you for the chance to win one of your fabulous books and have it signed! Fantastic! I would love The Kings Sister . I have a number of your books but not this one! Merry Christmas and long may you go on writing. I have The Virgin Widow sitting in my to-read pile right now. I would love The Devil’s Consort. Have a happy Christmas and New Year . Merry Christmas and Happy New Year!!! I have recently met with your books and absolutely enjoy it!!! I would love to have The Shadow Queen, as I haven’t read this one yet. Merry Christmas to you and your loved ones. I own and have read all of your brillant books except of the Queen of the North, a signed copy from you would be a perfect gift. Hugs from Slovenia. Merry Christmas….and of course what better way to celebrate the Nativity with the Virgin….Widow! Thank you for the opportunity. I love your writings. You make history come alive! I would love a signed copy of The Queen’s Choice. Your books are absolutely my favourites I have almost all of them! Ive worn out the scandalous duchess it’s barely holding together! The way you bring Katheryn swyndford to life is just amazing and it’s led me to read up so much more or her! I’d love to own the forbidden queen, I have read half of the story but had to return the book to the lovely lady I borrowed it from, and being half welsh the story of Owen and Catherine Facinates me! It would make my year to own my own copy! Happy Holidays!!! They all sound fascinating but I’d particularly love The Forbidden Queen! Greetings from across the world – from Brighton in Victoria, Australia – and my best wishes for a very Merry Christmas and a Happy, Healthy and inspirational 2019. I would love a copy of The Forbidden Queen, please. Wishing you and your family a wondrous Christmas. I hope 2019 brings all that you wish for. Wishing you a Merry Christmas and a Happy New Year from the UK. 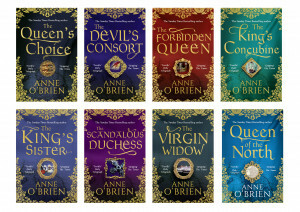 For Christmas I would love The Forbidden Queen, as it would complete my collection. I would like the Scandalous Princess please if I am chosen. Hello and Happy Christmas. I would love The Shadow Queen as she sounds truly magnificent. Merry Christmas to you & yours…. Thank you for kicking off the Giving Season…. My book choice is The Forbidden Queen…. Happy Christmas to you Anne and all your supporting team. I am looking forward to anything more you may be writing for 2019 so wish you a happy and healthy new year. I can’t think of anything better than snuggling up before a roaring Christmas fire with a book of yours. The only one I do not already own is The King’s Concubine so would be thrilled to win that. 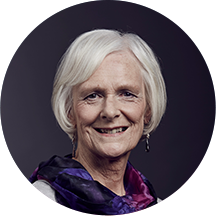 My undoubted favourite is anything about Katherine Swynford – what a survivor! Thank you. First of all…. Happy Holidays! Thank you for taking me to a different place and time. Getting lost in a book is far better than watching the t.v. Merry Christmas and a Healthy and Happy New Year. I would love to win a copy of The Forbidden Queen. Happy Christmas to one and all. Hope the festive season brings health, happiness and peace to all of you. If I win this festive giveaway I would like a copy of Queen of the North as it is the only one of your books I haven’t read yet. Life without books is unthinkable. I love to read your novels many times and each time I get more from it and it has the same emotional impact. These women were courageous and deserve our respect. Krystal Smith on Nov 27,2018,greetings from Paris Texas,Merry Christmas and a happy new year, I’m not particular I love them all, I would be honored if u choose your favorite for me, thank you . Season’s Greetings to all from snowy Canada! It has started way to soon for us and will be a long winter! So I would love to read The Queen’s Choice! I have already read The Scandalous Duchess and absolutely adored it! Thank you for this opportunity Anne! Merry Christmas to one and all. I would love a signed copy of “The Shadow Queen”. I am thoroughly intrigued by past Facebook posts. Happy Holidays! I have never read your books but the subject interests me and I’d love to read The Forbidden Queen. Thank you for the opportunity. Only discovered your books a couple of years ago and love the historical fiction. I read and collected all Jean Plaidy as a teenager and now I am doing the same with your books. Thank you so much for giving me the opportunity to receive a lovely signed copy of one of your fabulous books! 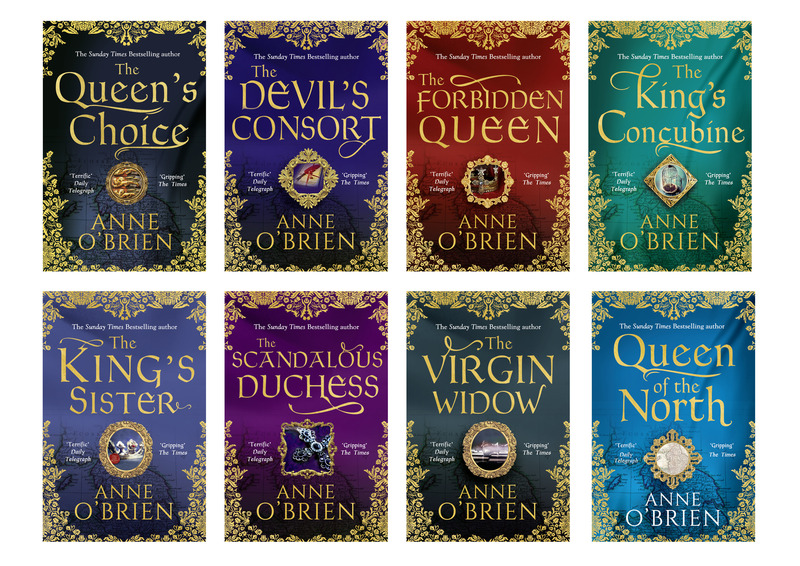 The one I would most like is The Forbidden Queen, I love reading about the early Tudor period. Love your books Anne have most of them Cannot wait for anew one to comeout the virgin widow please. Have a wonderful Christmas June. Bookcase ful of your books. Merry Christmas Anne – Forbidden Queen for me please. Happy Christmas & Seasons Greetings to all . Thank you Anne for this opportunity. Although I’ve enjoyed all your books, I have a soft spot for Katherine & John, so The Scandalous Duchess for me please. Many thanks. Merry Christmas from Leland, North Carolina, USA! Anne, I thank you for this gift you are giving your readers! I would love to have a copy of The Queen’s Choice. Happy Christmas and a wonderful New Year to you and your yours Anne. It is very difficult to choose one book of yours, but I would choose “The King’s Sister” for you to sign for me, should I be lucky enough to win this “giveaway”. I just adore the love story between Elizabeth and John and the terrible tragedy that overtakes them always makes me cry. How generous. Hope you and your family have a wonderful Christmas and a healthy new Year fromDevon. I would love “The Shadow Queen” or “The Forbidden Queen”. I love the way your books look at the history from a different angle and also look at the strong, 8mportant women. You are very generous such a great offer and a very Happy Christmas to you. If I’m one if the lucky ones I would love to receive The Queen of the North. Such a difficult choice but I’m sure it’s the right one for me. A wonderful New Year to you and your writing as we all can never wait to read your next novel. Medieval history has never been more interesting. Merry Christmas, the shadow queen, actually love all the books, you pick for me. The Queen of the North would be a nice addition to my collection of books. I love reading about different periods of British History. I hope that everyone has a Happy and peaceful Christmas,and remember its the thought that counts with the presents we give not the cost. Happy Christmas from the Medway town to you and all your followers. Merry Christmas and a Happy New Year Anne and to all fellow Historical Fiction readers who just can’t put your books down! I expect like most of us I will need a book to hide away with over Christmas so I would love a copy of “The Scandalous Duchess” as I visited Lincoln Cathedral this year, found Katherine Swynford’s tomb and would really like to know more about this intriguing woman! My absolute favorite is the scandalous duchess I cried while reading because I became to involved with the characters. I hope you have a wonderful Christmas. Good Afternoon and a Merry Christmas to you and your family, I love your books , you make everything so real and interesting. Wish you happiness over the festive season. You give reading pleasure to many. Should I be lucky to be chosen for a signed copy, particularly interested in the period of King Henry V, therefore the book selected is The Forbidden Queen. I would love The Shadow Queen forcmyself, as that I think is the only one I haven’t read, but I don’t think my mum has read any of your books yet, Anne, so I would love to win any one of them for her to enjoy at Christmas. Merry Christmas Anne, and thank you for such wonderful books! Joyeux Noël et Bonne Année! Merry Christmas and happy New Year to all from Montréal , Canada! May you and yours enjoy all the joy and happiness of this most wonderful season. Merry Christmas and Happy New Year. Merry Christmas from the Republic of Texas. I wish you the happiest of holidays, and would be honored to receive a copy of The Shadow Queen. I love your rich storytelling and historical research. I only wish there were more of your books available in audio in the US. Season’s greetings Anne. May the festive season be filled with joy, love, good health and rich blessings. Your gift offer is a wonderful way in which to finish off 2018. Any would be appreciated should I be gifted one but if I need to choose a title, then The Shadow Queen please. Merry Christmas. I have read all your books to date, and have enjoyed them all equally, but would love a signed copy of the King’s Concubine. I am looking forward to 2019 and your next book! Anne, Peace and Love this holiday season to all. I love, love, love your wonderful books. I so enjoy reading stories from those time periods in English history. I would enjoy any of your books, but would especially love to receive ” The Forbidden Queen”. God bless and enjoy the most wonderful holiday season ever. This is a very thoughtful gesture from you. I send my sincere Best Wishes for the coming season, and as I come from Scotland …… ‘Lang mae yer lum reek ‘. My choice would be The Forbidden Queen. Fingers X, however, whether successful or not I so look forward to reading everything you write. Wishing you and your family a happy and safe holiday. I have recently discovered your novels and love your work so much. It started with the Scandalous Duchess and from there purchased The Shadow Queen, The King’s Sister, and Queen of the North. I plan on purchasing more of your novels, because with your storytelling, I feel that I am right there. If I had a choice of books, I would select The King’s Concubine. Yule greetings to you and yours. May the festive season bring all you wish for. Queen of the North, please, another to add to my collection of historical whispers. To sip warm cider with and nibble mince tarts. What better companion, than one who enlightens, entertains and educates. Merry Christmas! Wishing you and your family a Happy Holidays! I am very interested in The Forbidden Queen because I love learning about Katherine of Valois and Owen Tudor. Thank you for all you do! Merry Christmas and thanks so much for your continued writing. We love it ! Have a number of your books but not yet got The kings concubine. Would gladly have a signed copy of any of your books. Wishing everyone a Merry Christmas and health, wealth and happiness for 2019. If I am lucky, I would like ‘The King’s Concubine’. As I look forward to the coming year, where better to be than reading about the past — so many differences and so much about us is the same! I’ve always loved historical fiction and have already enjoyed reading many of your books. If I was lucky enough to win I would love to receive the King’s Concubine .. oh to be able to travel back in time to those days!! Merry Christmas to all! May 2019 be kind to all of us! I would absolutely love a signed copy of The Kings Sister. I have been fascinated with Elizabeth of Lancaster for years, what a tragic life she had in some ways!! Your story about her was beautiful and one I have read, and re-read, several times! A signed copy would be extra special for sure!! I also can’t help blubbering like a baby at The Kings Concubine (we all know which part!) so that is definitely on the favourites list too! I have read and enjoyed the Eleanor of Aquitaine. If I win a book I would like The Queen’s Choice. Thank you. Merry Christmas and Happy New Year for 2019! I would love a copy of The Shadow Queen because of her link to the Black Prince who links to my home city of Leeds and also her bigamy as in the course of researching my family tree have found a couple of instances of that! Wishing you a Merry and Bright Christmas, Anne! I would love to win The Forbidden Queen. Hello! Thank you for the generous opportunity to win. I would choose The Queen’s Choice! It has been on my TBR list for awhile. I love finding books in bookstores rather than ordering from Amazon and yours are hard to find in the U.S.! But I have found some and love them! Happy holidays from My family to you! I love that people/authors are willing to give away books for people to gain more knowledge even if hey can’t afford it! I would love to read The Forbidden Queen! Merry Christmas 🎄 to you Anne and to everyone else from down under in New Zealand and may 2019 be the best yet for you all. I would love to win🎁 a signed copy of The Shadow Queen. There’s nothing quite like losing yourself in another world! Hope you have a wonderful holiday season and a very productive New Year. I love your books but I can not stop reading and usually finish them around three in the morning! Merry Christmas and Happy Holidays from the DC area! I adore historical fiction as a historian and always look forward to finding new authors to read. I love your novels and if chosen I would love to receive The Shadow Queen! I would love to read The Forrbidden Queen if I win. I’m interested in the Tudors and this is the beginning. Happy Holidays. Happy Holidays from Narrows, VA. Unfortunately, I haven’t read any of your books. Luckily I came across a post on Facebook about your giveaway. I have always wondered about the lesser known figures from the mid evil time period, especially the women. The fact that you do makes me so excited to start reading your books. My choice would be, The Kings Concubine. Thank you so much for this opportunity!!! Merry Christmas Anne, really looking forward to reading A Tapestry of Treason. I love all your books. I’d love to win a signed copy of the Forbidden Queen. Seasons Greetings from Canada! I have just recently discovered your writing having found Queen of the North in my local bookstore. I’m hooked! Thank you so much for your beautiful writing. I hope the weather is great where you are. It’s not too bad here yet but it can get very cold here in Canada. I hope you and your loved ones have a beautiful and happy holiday season and New Year. If I won a book I would love The Scandalous Duchess as I find Katherine Swynford fascinating but would be thrilled to receive any of them as I haven’t had the chance to read any of the ones mentioned yet. Good wishes for Christmas to you. I have only recently ‘discovered’ your writing but really enjoying your books and particularly that you write about other kings and queens etc from a variety of periods as well as the big characters. I would love to read The Scandalous Duchess. Wouldn’t it be lovely on a dark December afternoon to curl up in a warm room with ‘The Scandalous Duchess’ and just lose myself in another world? Merry Christmas. It is such a delight to follow you on FB. May the new year bring you many blessings! ALM is my full name. On FB it is Mandy Martin. Merry Christmas, Anne. I am very new to historical novels- in fact new to reading books at all having found some time now that I am retired. I was given The Queen’s Choice as a gift and so enjoyed it I have read several more. I have never been one for history but your books have brought history to life for me and now I find myself very interested. I read The Shadow Queen recently on holiday and some of the places in the book were near to where we were. We were staying in a Medieval Hall and sitting in the library reading was like being part of the book!! The book I would like to read is Queen of the North. My family came from Northumberland with my Gran living on Hotspur Street and her sister on Percy Street. I had always wondered where all the names came from and from your books I am learning!! Have a great holiday and thank you!! Merry Christmas from sunny Western Australia. I have all of your books and I absolutely love each and every one of them. I would love to receive a signed copy of any one of them. Have a very Merry Christmas and all the joys of life in the coming year. Ho, Ho, Ho ! Have a Merry Christmas and a Happy New Year ! I would enjoy the King’s Concubine while reading in front of Netflix’s Yule Log and my “fake Fireplace” which brings me joy nonetheless (it even emits heat) …. Greetings from Vancouver, B.C., Canada, A very Merry Christmas Anne & to your family & to all your readers. Also Wishing everyone a Happy & Healthy 2019! I love historical fiction, particularly the medieval period. I would go for The King’s Concubine or Queen of the North, the two I haven’t read yet. Yule tide blessings everyone! May the turning of the wheel bring happiness and joy. Anne, I love your books, I think the fact that you focuss on women history forgot is brilliant. I have read almost all of your books, except for one, The King’s Concubine and a signed copy would make a great addition to my bookshelves. Cannot wait for A Tapestry of Treason! I’ve only recently been introduced to your books and I just love them! Merry Christmas to you, I first read The Virgin Widow and have followed your books ever since. I would choose the Scandalous Duchess as its the one I’m missing from your collection at the moment. Sussex Carol wishes you all the joys and blessings of the season. The Queen’s Choice is also my choice! Greetings Anne. I just love your books as I have an avid interest in all the medieval Royalty. I have read all the books of yours that I could lay my hands on and have most of them in my Library. The Queen of the North would be my choice although The Scandalous Duchess runs a very close second. Thank you for all the time and effort you put into your writing as this is what makes them all so real. Merry Christmas to you from Sydney Australia and please keep the books coming. I am sure there are many more Famous or Infamous Royals to bring to life. Anne, wishing you the gifts of the season — Peace, Joy, Hope. I love your books, you are such a gifted storyteller. I would pick THE SHADOW QUEEN, I enjoy reading about Joan of Kent. Yule tide blessings,eat drink be merry .Have a fabulous new year , ld love to have the queens choice . Blessings sent . Have a lovely Christmas and a healthy new year. Best wishes from Wendy Gilbank. I would like to read Queen of the North.have read and enjoyed most of your other titles. I have read all of your books but I would love a signed copy of ‘Queen of the North’ as I enjoyed reading about the Percys who were on power in the region that I live in. Merry Christmas & A Happy New Year..
I’ve been dying to read A Scandalous Duchess but its not been aviliable here in the US. Thanks for the chance . I also hope that the new year brings you many many more happy times, with loved ones. I would love to have either the shadow queen or queen of the north. Greetings to you and yours, and a very festive Yuletide to you all, and to all your readers. I would choose The Forbidden Queen as I would enjoy a love tale escapism,however, I am new to your books and would be delighted to sample any. I have only recently found you and your wonderful books. I’ve read three already and am completely hooked. I would love to receive ‘The Forbidden Queen’. I send my best wishes to you and your family for a peaceful Christmas and a happy new year and lots of time to write more fantastic books. I hope you have a great Christmastide I know I will sitting infrount of the Yule log drinking some spiced wine while reading some great books. I don’t mind which one I would receive if chosen I would treasure any of them. Seasons Greetings and a Happy New Year from Melbourne Austrailia! I always wait with baited breath for you new book to be released. My favourite books are historical fiction, I would love a copy of The Shadow Queen as I have not read it yet. Oh Anne, what a lovely Christmas surprise for us readers! To whomever wins – Enjoy! Merry Christmas to you and yours, Anne, and thank you for sharing your wonderful stories. If I am lucky to win, I would like The Queen’s Choice. I know little about Joanna Of Navarre. I am so happy to have discovered a new series. I love love love historical fiction. Anne, I look forward to reading your books and wish you the merriest of holidays!! I believe it is always best to start at the beginning, so if I were to win a book, I would choose The King’s Concubine. Thank you kindly Anne for the opportunity to win one of your wonderful books. The Forbidden Queen is the book I would choose if I was fortunate enough to win. Season’s greetings from (hot) Australia! I’m an American transplant to Oz, and currently work at a library here. Rmthis is how I recently discovered your books (for some reason they were not very well known in US), and in fact just checked out one of the titles. I like all the subjects you cover, but my favourite is Katherine de Valois. I would love to get a signed copy of my own. P.S. I’m also an author of historical material, but my books are non-fiction, and my subject is the last Russian imperial family (as you can see from my website). I am hoping one day to produce a historical novel about them, because it happens to be my favourite genre. Thanks in advance for reading my posts! Wishing you a wonderful Christmas from Down Under! I am a passionate historical reader who, must admit, have not read too many of your books. I have read mamy others and am a completionist needing to own and read everything from an author! I can’t wait to start on your collection and winning your wonderful books would be such a great gift. I hope to be reading one in the hot sun over a nice iced drink ! Thank you for your wonderful offer. I love all your books but especially The Forbidden Queen. Merry Christmas and a Happy New year. Thank you for thinking of us all at this busy time of the year. It is hard to choose a book as they are all so wonderful and capture the imagination of the reader. If I was luck enough to win I’d like The Forrbidden Queen. Festive greetings from Aotearoa-New Zealand. Wishing everyone the best wishes of the season. I have recently discovered Anne’s books and am loving being whisked to another time. I love the rich writing style and imagery. I would love a signed copy of any of the books to be honest….., but if pushed would choose Queen of the North. Wishing you a very merry Christmas and a happy and prosperous 2019 Anne. I love reading your books and the details are amazing, transporting me into the world of the characters. If I was lucky enough to win a signed copy I would love to have ‘The Kings Concubine’ as that was the first novel I read that you had written and quickly became a big fan. Hello Greetings from not so far a-field in West Sussex. I particularly enjoyed the King’s sister – as it gave such a different perspective of the king, but I am also enjoyed very much the story of the Scandalous Duchess, and the amazing story of Henry V’s treatment of Joanne of Navarre (and having visited Pevensey Castle i would not like to live there!) – I have the Shadow Queen waiting for me, just purchased this last week (the only gap is therefore the Queen of the North). Thank you for enlightening my evenings and writing such well-researched stories that bring these amazing women to the forefront of their men. I am not a feminist! But I do appreciate a very good book. Happy Christmas. 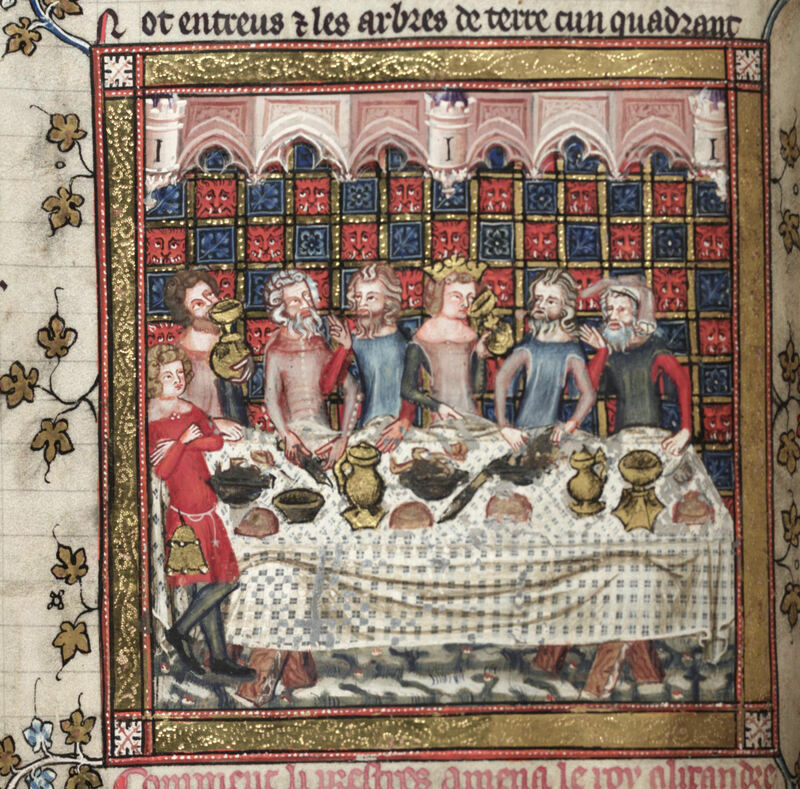 I wish you a lovely season, surrounded by family and friends in as many medieval banquets as your schedule permits! My preferred book would be The Queen’s Choice, and I am sure I will enjoy it with a hot cocoa by my side, given the opportunity. Christmas greetings from Winchester, as you know the ancient capital. I am busy revising for my Winchester Cathedral guides’ test and learnt that Henry IV married Joan of Navarre in Winchester Cathedral so would love to read about her in ‘The Queen’s Choice’. The training course is six months and we have a trip to Chichester tomorrow to learn more guiding skills. I’ve developed a new love of history. Winchester Cathedral is also the burial place of Cardinal Beaufort, Bishops: Edington, Wykeham, Fox and Wayneflete as well as the place of the marriage of Mary Tudor and Phillip II of Spain so I have plenty to learn. I have not had the pleasure of reading your books. (Yet!) If I were to be so lucky to be chosen to win one of your books, I would choose The Scandalous Duchess. I want to wish you a very Happy Christmas and best wishes in the New Year. The Queens choice would be the book I would like to win. Happy Christmas Happy Holiday. They all sound wonderful but The Forbidden Queen sounds an enticing read. Wishing you all a Merry and Peaceful Yuletide from East Anglia, England. I do hope you are well and ready for the festive season, unfortunately here in Australia I can never feel really Christmasey (sorry not proper word) with our weather, as being from England I do miss the cold Christmases. Anyway if you deemed me successful in your competition I would really like to read “The King’s Concubine”, as for some reason I have missed this one. Love history and I’m so pleased that your books touch on pre Edward VI as it was at this point that I started to read about the Plantagenants and have read a lot of books from this time but not before. I shall be starting my collection with hopefully winning the first book The Kings Concubine and then look forward to learning more about this Royal house. Thank you and I hope you have a wonderful Christmas and New Year. Wishing you and yours all the joys of the season and a happy and healthy new year. I love your books and completely immerse myself in them. If I were lucky enough to win my choice would be The forbidden Queen. Historical novels have placed me on the path of history! I adore any book that highlights English and European past from the 5th c. through the 17th c. A heartfelt Thank You for sharing your skills and bringing these stories to life. Wishing you, your family and friends a blessed holiday season and a safe and fruitful 2019. Merry christmas and a blessed new year from Brisbane,Queensland, Australia. I have been a avid historical reader for years and discovered your books this year. I have enjoyed the ones i have read so far. I would be interested in the Forbidden Queen. Thank you for this opportunity. Wishing you a very merry medieval Christmas, with lots of music, greenery, festive fayre and those you love. I’d love either the Scandalous Duchess or the Shadow Queen please. Thank you for your wonderful, richly detailed, and evocative novels. I’ve thoroughly enjoyed the ones I’ve read so far. Wishing you a very merry Christmas. I would love to win a copy of the shadow queen for my daughter who is following my love of history. I have thoroughly enjoyed reading all of your books and can’t wait for the next one. Merry Christmas and Happy New Year. Back in the medieval times there were no politically correct Season Greetings, everybody was focus on true Christmas spirit. wishing you and all your readers a traditional merry Christmas and prosperous New Year. Season’s greetings, I hope you have a peaceful and happy Christmas time. As I know little of her, I would love to read your take on Alice so “The King’s Concubine” would be a beautiful place to start. Good luck everyone and I hope 2019 brings you all the joy and happiness you wish for. I would love to win The King’s Sister as a staunch Lancastrian I enjoy reading anything about the times when Lancaster and Yorkshire were separate. My 12 year old son is mad on medieval and Tudor history; I think he would choose the Scandalous Duchess! Merry Christmas to all, and you, Anne, and a happy New Year. To the wonderful author, Anne, we wish you merry yuletide greetings from Long Island, NY. I would be blessed to have any of these books written by your gifted hands. Happy Christmas and a peaceful New Year giving you lots of inspiration to publish more stories about our amazing ancestors. Any book would be welcomed as they can all be read more than once. The Scandalous Dutchess broke my heart reading it. Beautifully written. I know I wont be picked. But I just wanted to say how much I enjoy reading your books. I wish you and your family a joyous Christmas. God Bless. After inquiring about your books at chapters, and being told that they are not available in Canada, my husband and I planned a trip to London! Now our plan was to do everything that was free in London. In other words. Museums! My alterior motive was to book shop! Unfortunately , our flights were messed up due to fog on our end. It delayed us two days and we were unable to adjust our schedule. So no books for me! The only one available at Chapters is the Northern Queeen! So I would love any others…saves me a buying trip.,.. Have a very Happy and healthy Christmas and to all of us I wish a Peaceful New Year. I hope you manage to find some time to yourself in amongst the festivities. A good read, a cup of tea and my dog curled beside me is booked into my schedule already. If I am fortunate, The King’s Sister would be lovely. Thanks. Merry Christmas Anne. I hope you ha e a marvellous time. I miss Herefordshire at this time of year. But that’s the way of it. Hoping to come home I. 2020 and will definitely visit Herefordshire again. I wouldpivk the Scandelous Duchess in memory of reading Anya Setons book under the covers st boarding school. Merry Christmas all! At this time of year I love to curl up with a sumptuous tale of royal rivalries. Ive adored a few of your books now, each one captivating and memorable. I would be thrilled to receive a signed copy of “The Forbidden Queen” Thank you so much for all the happy hours spent enjoying your writing. Merry Christmas and a Happy New Year to all! I would love Santa to bring me a copy of The King’s Concubine. I promise to leave milk and home baked cookies. You must get tired and hungry after visiting so many houses. Thank you for the chance. Happy holidays from England! I hope you have a great Christmas. My fiancé and I are spending time with my family this year. It would be great to have a little reading break. I love the sound of Forbidden Queen. I would love the chance to read it. Yuletide blessings and seasons greetings. I would love any of these books as I am absolutely obsessed by mediaeval and Tudor history since I was a child. I’m loving the Facebook posts and website and learning so much from you with the information you share. Love your work and any book I find, I pretty much devour quickly!